Glucomannan was more strongly oriented, in line with the orientation of cellulose, than the xylan in both compression wood and normal wood of Chinese fir. Lignin in compression wood was somewhat more oriented in the direction of the cellulose microfibrils than in normal wood. The structural organization in compression wood (CW) is quite different from that in normal wood (NW). 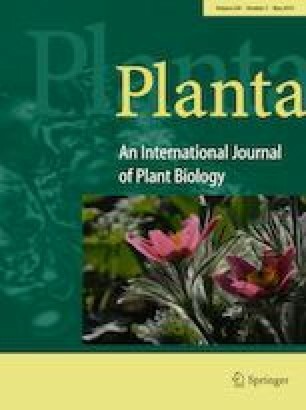 To shed more light on the structural organization of the polymers in plant cell walls, Fourier Transform Infrared (FTIR) microscopy in transmission mode has been used to compare the S2-dominated mean orientation of wood polymers in CW with that in NW from Chinese fir (Cunninghamia lanceolata). Polarized FTIR measurements revealed that in both CW and NW samples, glucomannan and xylan showed a parallel orientation with respect to the cellulose microfibrils. In both wood samples, the glucomannan showed a much greater degree of orientation than the xylan, indicating that the glucomannan has established a stronger interaction with cellulose than xylan. For the lignin, the absorption peak also indicated an orientation along the direction of the cellulose microfibrils, but this orientation was more pronounced in CW than in NW, indicating that the lignin is affected by the orientation of the cellulose microfibrils more strongly in CW than it is in NW. This research was sponsored by the National Key Research and Development Program of China (2017YFD0600202). Hui Peng has a fellowship from the China Scholarship Council (CSC). The authors wish to thank Jiali Jiang (Research Institute of Wood Industry of Chinese Academy of Forestry, China) and Liang Zhou (Anhui Agricultural University, China) for providing the wood samples.